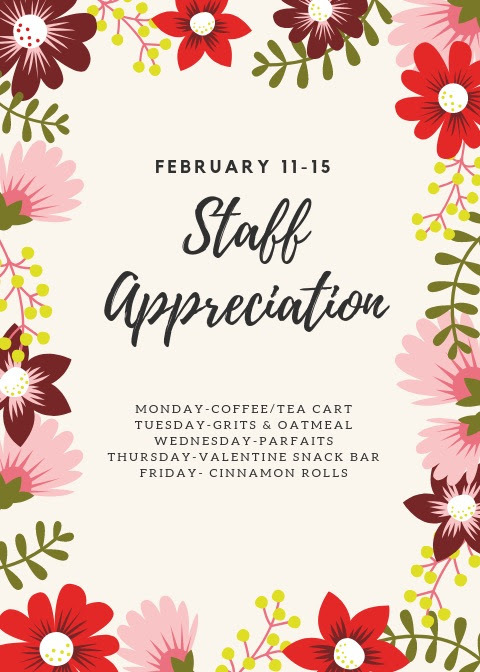 Let’s show our wonderful staff how much they are appreciated. The Brockman Bears PTO is celebrating our fabulous, dedicated staff with a week full of appreciation and love. During the week of February 11-15 we will have a variety of ways you can help! Please consider finding a way to take part in this “sweet” week!